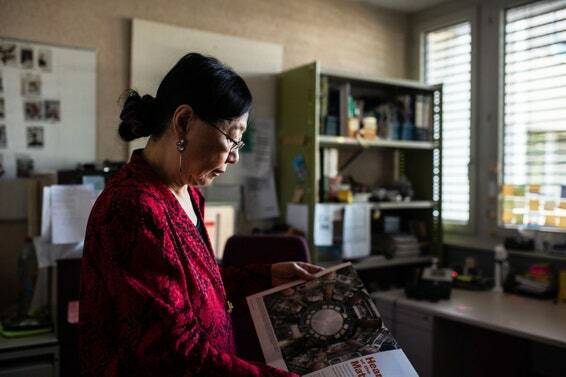 One of the many women who, in a different world, might have won the physics prize in the intervening 55 years is Sau Lan Wu. Wu is the Enrico Fermi Distinguished Professor of Physics at the University of Wisconsin, Madison, and an experimentalist at CERN, the laboratory near Geneva that houses the Large Hadron Collider. 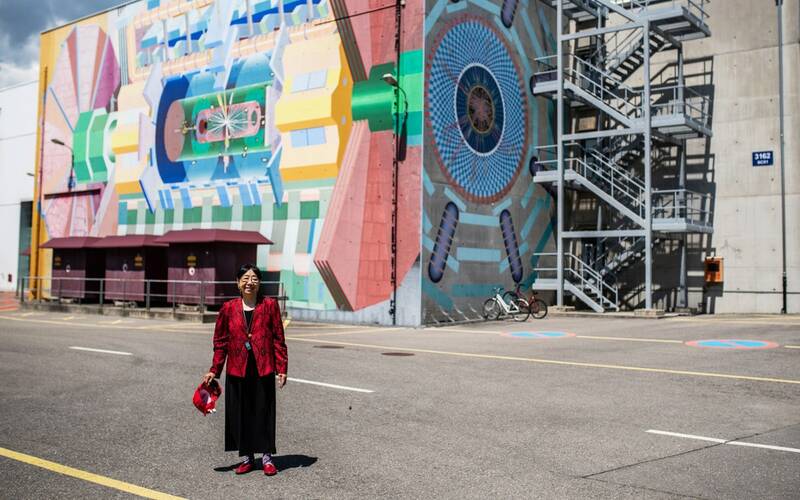 Wu’s name appears on more than 1,000 papers in high-energy physics, and she has contributed to a half-dozen of the most important experiments in her field over the past 50 years. She has even realized the improbable goal she set for herself as a young researcher: to make at least three major discoveries. Wu was an integral member of one of the two groups that observed the J/psi particle, which heralded the existence of a fourth kind of quark, now called the charm. The discovery, in 1974, was known as the November Revolution, a coup that led to the establishment of the Standard Model of particle physics. Later in the 1970s, Wu did much of the math and analysis to discern the three “jets” of energy flying away from particle collisions that signaled the existence of gluons—particles that mediate the strong force holding protons and neutrons together. This was the first observation of particles that communicate a force since scientists recognized photons of light as the carriers of electromagnetism. 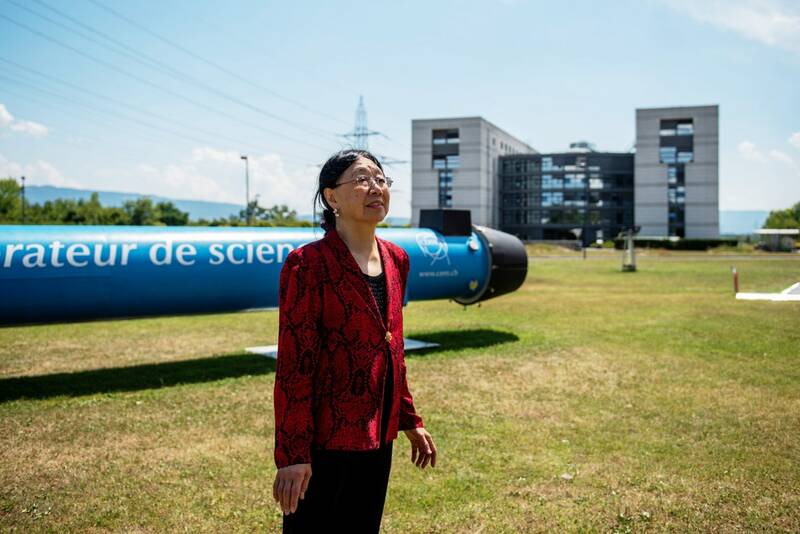 Wu later became one of the group leaders for the ATLAS experiment, one of the two collaborations at the Large Hadron Collider that discovered the Higgs boson in 2012, filling in the final piece of the Standard Model. She continues to search for new particles that would transcend the Standard Model and push physics forward. Sau Lan Wu was born in occupied Hong Kong during World War II. Her mother was the sixth concubine to a wealthy businessman who abandoned them and her younger brother when Wu was a child. She grew up in abject poverty, sleeping alone in a space behind a rice shop. Her mother was illiterate, but she urged her daughter to pursue an education and become independent of volatile men. Wu graduated from a government school in Hong Kong and applied to 50 universities in the United States. She received a scholarship to attend Vassar College and arrived with $40 to her name. Although she originally intended to become an artist, she was inspired to study physics after reading a biography of Marie Curie. She worked on experiments during consecutive summers at Brookhaven National Laboratory on Long Island, and she attended graduate school at Harvard University. She was the only woman in her cohort and was barred from entering the male dormitories to join the study groups that met there. She has labored since then to make a space for everyone in physics, mentoring more than 60 men and women through their doctorates. Quanta Magazine joined Sau Lan Wu on a gray couch in sunny Cleveland in early June. She had just delivered an invited lecture about the discovery of gluons at a symposium to honor the 50th birthday of the Standard Model. The interview has been condensed and edited for clarity. 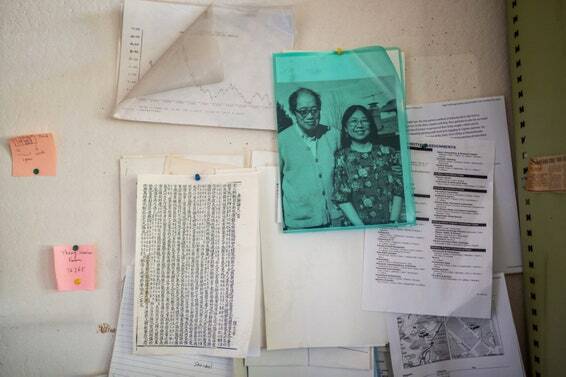 Wu’s office at CERN is decorated with mementos and photos, including one of her and her husband, Tai Tsun Wu, a professor of theoretical physics at Harvard. You work on the largest experiments in the world, mentor dozens of students, and travel back and forth between Madison and Geneva. What is a normal day like for you? Very tiring! In principle, I am full-time at CERN, but I do go to Madison fairly often. So I do travel a lot. Well, I think the key is that I am totally devoted. My husband, Tai Tsun Wu, is also a professor, in theoretical physics at Harvard. Right now, he’s working even harder than me, which is hard to imagine. He’s doing a calculation about the Higgs boson decay that is very difficult. But I encourage him to work hard, because it’s good for your mental state when you are older. That’s why I work so hard, too. Of all the discoveries you were involved in, do you have a favorite? Discovering the gluon was a fantastic time. I was just a second- or third-year assistant professor. And I was so happy. That’s because I was the baby, the youngest of all the key members of the collaboration. The gluon was the first force-carrying particle discovered since the photon. The W and Z bosons, which carry the weak force, were discovered a few years later, and the researchers who found them won a Nobel Prize. Why was no prize awarded for the discovery of the gluon? Well, you are going to have to ask the Nobel committee that. [Laughs.] I can tell you what I think, though. Only three people can win a Nobel Prize. And there were three other physicists on the experiment with me who were more senior than I was. They treated me very well. But I pushed the idea of searching for the gluon right away, and I did the calculations. I didn’t even talk to theorists. Although I married a theorist, I never really paid attention to what the theorists told me to do. How did you wind up being the one to do those calculations? If you want to be successful, you have to be fast. But you also have to be first. So I did the calculations to make sure that as soon as a new collider at at DESY [the German Electron Synchrotron] turned on in Hamburg we could see the gluon and recognize its signal of three jets of particles. DESY Helmholtz Centres & Networks: DESY’s synchrotron radiation source: the PETRA III storage ring (in orange) with the three experimental halls (in blue) in 2015. We were not so sure in those days that the signal for the gluon would be clear-cut, because the concept of jets had only been introduced a couple of years earlier, but this seemed to be the only way to discover gluons. You were also involved in discovering the Higgs boson, the particle in the Standard Model that gives many other particles their masses. How was that experiment different from the others that you were part of? I worked a lot more and a lot longer to discover the Higgs than I have on anything else. I worked for over 30 years, doing one experiment after another. I think I contributed a lot to that discovery. But the ATLAS collaboration at CERN is so large that you can’t even talk about your individual contribution. There are 3,000 people who built and worked on our experiment [including 600 scientists at Brookhaven National Lab, NY, USA]. How can anyone claim anything? In the old days, life was easier. Has it gotten any easier to be a woman in physics than when you started? Not for me. But for younger women, yes. There is a trend among funding agencies and institutions to encourage younger women, which I think is great. But for someone like me it is harder. I went through a very difficult time. And now that I am established others say: Why should we treat you any differently? Who were some of your mentors when you were a young researcher? Bjørn Wiik really helped me when I was looking for the gluon at DESY. Well, when I started at the University of Wisconsin, I was looking for a new project. I was interested in doing electron-positron collisions, which could give the clearest indication of a gluon. So I went to talk to another professor at Wisconsin who did these kinds of experiments at SLAC, the lab at Stanford. But he was not interested in working with me. 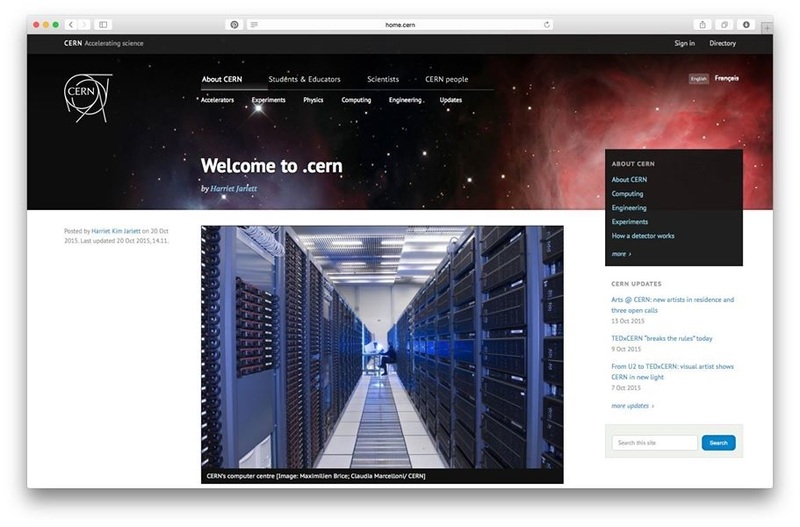 So I tried to join a project at the new electron-positron collider at DESY. I wanted to join the JADE experiment [abbreviated from the nations that developed the detector: Japan, Germany (Deutschland) and England]. I had some friends working there, so I went to Germany and I was all set to join them. But then I heard that no one had told a big professor in the group about me, so I called him up. He said, “I am not sure if I can take you, and I am going on vacation for a month. I’ll phone you when I get back.” I was really sad because I was already in Germany at DESY. But then I ran into Bjørn Wiik, who led a different experiment called TASSO, and he said, “What are you doing here?” I said, “I tried to join JADE, but they turned me down.” He said, “Come and talk to me.” He accepted me the very next day. And the thing is, JADE later broke their chamber, and they could not have observed the three-jet signal for gluons when we observed it first at TASSO. So I have learned that if something does not work out for you in life, something else will. You certainly turned that negative into a positive. Yes. The same thing happened when I left Hong Kong to attend college in the US. I applied to 50 universities after I went through a catalog at the American consulate. I wrote in every application, “I need a full scholarship and room and board,” because I had no money. Four universities replied. Three of them turned me down. Vassar was the only American college that accepted me. And it turns out, it was the best college of all the ones I applied to. If you persist, something good is bound to happen. My philosophy is that you have to work hard and have good judgment. But you also have to have luck. I know this is an unfair question, because no one ever asks men, even though we should, but how can society inspire more women to study physics or consider it as a career? Well, I can only say something about my field, experimental high-energy physics. I think my field is very hard for women. I think partially it’s the problem of family. My husband and I did not live together for 10 years, except during the summers. And I gave up having children. When I was considering having children, it was around the time when I was up for tenure and a grant. I feared I would lose both if I got pregnant. I was less worried about actually having children than I was about walking into my department or a meeting while pregnant. So it’s very, very hard for families. I think it still can be. Yeah, but for the younger generation it’s different. Nowadays, a department looks good if it supports women. I don’t mean that departments are deliberately doing that only to look better, but they no longer actively fight against women. It’s still hard, though. Especially in experimental high-energy physics. I think there is so much traveling that it makes having a family or a life difficult. Theory is much easier. You have done so much to help establish the Standard Model of particle physics. What do you like about it? What do you not like? It’s just amazing that the Standard Model works as well as it does. I like that every time we try to search for something that is not accounted for in the Standard Model, we do not find it, because the Standard Model says we shouldn’t. But back in my day, there was so much that we had yet to discover and establish. The problem now is that everything fits together so beautifully and the Model is so well confirmed. That’s why I miss the time of the J/psi discovery. Nobody expected that, and nobody really had a clue what it was. But maybe those days of surprise aren’t over. We know that the Standard Model is an incomplete description of nature. It doesn’t account for gravity, the masses of neutrinos, or dark matter—the invisible substance that seems to make up six-sevenths of the universe’s mass. Do you have a favorite idea for what lies beyond the Standard Model? Well, right now I am searching for the particles that make up dark matter. The only thing is, I am committed to working at the Large Hadron Collider at CERN. But a collider may or may not be the best place to look for dark matter. It’s out there in the galaxies, but we don’t see it here on Earth. Still, I am going to try. If dark matter has any interactions with the known particles, it can be produced via collisions at the LHC. But weakly interacting dark matter would not leave a visible signature in our detector at ATLAS, so we have to intuit its existence from what we actually see. Right now, I am concentrating on finding hints of dark matter in the form of missing energy and momentum in a collision that produces a single Higgs boson. What else have you been working on?What else have you been working on? Our most important task is to understand the properties of the Higgs boson, which is a completely new kind of particle. The Higgs is more symmetric than any other particle we know about; it’s the first particle that we have discovered without any spin. My group and I were major contributors to the very recent measurement of Higgs bosons interacting with top quarks. That observation was extremely challenging. We examined five years of collision data, and my team worked intensively on advanced machine-learning techniques and statistics. 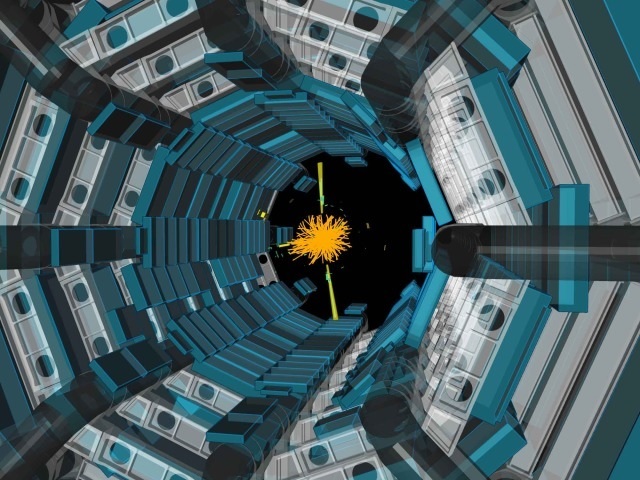 In addition to studying the Higgs and searching for dark matter, my group and I also contributed to the silicon pixel detector, to the trigger system [that identifies potentially interesting collisions], and to the computing system in the ATLAS detector. We are now improving these during the shutdown and upgrade of the LHC. We are also very excited about the near future, because we plan to start using quantum computing to do our data analysis. Do you have any advice for young physicists just starting their careers? Some of the young experimentalists today are a bit too conservative. In other words, they are afraid to do something that is not in the mainstream. They fear doing something risky and not getting a result. I don’t blame them. It’s the way the culture is. My advice to them is to figure out what the most important experiments are and then be persistent. Good experiments always take time. But not everyone gets to take that time. Right. Young students don’t always have the freedom to be very innovative, unless they can do it in a very short amount of time and be successful. They don’t always get to be patient and just explore. They need to be recognized by their collaborators. They need people to write them letters of recommendation. In achievement and prestige, the University of Wisconsin–Madison has long been recognized as one of America’s great universities. A public, land-grant institution, UW–Madison offers a complete spectrum of liberal arts studies, professional programs and student activities. Spanning 936 acres along the southern shore of Lake Mendota, the campus is located in the city of Madison.